Who Is First? Me, You, Us, Nature, Spirit? “Most people think self-oriented and other-oriented motivations are opposite ends of a continuum… Yet, I’ve consistently found that they’re completely independent. You can have neither, and you can have both,” with UPenn Prof. Duckworth quoting Wharton Prof. Adam Grant (Duckworth, 2016, Grit: The Power of Passion and Perseverance, New York: Scribner, p.159). Angela Duckworth’s research shows that people who most persevere–her paragons of grit–have found and work deeply with both (1) their own passion, their relationship to their own self potential and its manifestation, and (2) the purpose for their engagement, their unique contribution to the group (which she refers to as the other). Grant’s and Duckworth’s research, and that of others I have shared in earlier blogposts, supports what we are finding, that where you experience a vibrant relationship with your own potential and its development, you also experience a vibrant relationship with the other and with the group, where your unique contribution is invited and acknowledged, and with the source and process of creativity. The research suggests a correlation–these primary relationships tend to be at a similar level of vibrancy–where one is, the others tend to be. This is correlational, not causal. We don’t really know which comes first, which would be the causal explanation, only that they tend to be at similar levels of vibrancy experienced. The perennial question is, “Which comes first?” The self, the other, the group, nature, spirit? This seems to be a question that elicits lots of opinion and dogma, and has for thousands of years. Maybe a more fruitful question explores where we get the most leverage in shifting our experience to a more vibrant one, where the vibrancy experienced in all five primary relationships is higher? Some of our research suggests that the highest leverage is to start with yourself, because it is the easiest and most direct intervention we each have on a continuous basis. While it is definitely hard work to change your own perceptions and behaviors, you have permanent and continuous access to them, and you get to choose. It is much harder, if not impossible, to do this for others. So, maybe a more interesting question focuses on where the leverage is. The self? As the Adam Grant quote I started with suggests, maybe the power of being able to choose an experience of higher vibrancy comes from not having to choose a point on a continuum between serving your self or another, because the five primary relationships are not tradeoffs, rather something achieved together, because they are fundamentally different, because they are independent. de Waal, Frans, The Age of Empathy: Nature’s Lessons for a Kinder Society, 2009, New York: Three Rivers Press. Look inside the book here. Grant, Adam, Give and Take: A Revolutionary Approach to Success, 2013, New York: Viking. Look inside the book here. Pink, Daniel H. To Sell Is Human: The Surprising Truth about Moving Others, 2012, New York: Riverhead Books. It is well to remember that the entire universe, with one trifling exception, is composed of others. — John Andrew Holmes, former U.S. representative and senator (cited in Grant 2013 p61). If higher vibrancy starts with your self, it is supported at the higher levels by your relationship with the other, another human being. I recommend three readings that provide excellent, accessible guides to the relationship with another human being. A primatologist pointing at our social nature. A business school professor highlighting the importance of reciprocity. A business writer showing how to engage other people. All focused on the critical, human nature of being in relationship with another human being, the vibrancy we experience in that relationship, and the importance of that relationship to our being human. “Don’t believe anyone who says that since nature is based on a struggle for life, we need to live like this as well. Many animals survive not by eliminating each other or keeping everything for themselves , but by cooperating and sharing,” says Frans de Waal (p6-7), the famous primatologist. “The problem is that one can’t derive the goals of society from the goals of nature. trying to do so is known as the naturalistic fallacy, which is the impossibility of moving from how things are to how things ought to be. Thus, if animals were to kill one another on a large scale, this wouldn’t mean we have to do so, too…All that nature can offer is information and inspiration, not prescription” (p30). “What we need is a complete overhaul of assumptions about human nature. Too many economists and politicians model human society on the perpetual struggle they believe exists in nature, but which is a mere projection…Obviously competition is part of the picture, but humans can’t live by competition alone” (p7). “Interest in others is…the bedrock upon which everything else is constructed” (p9). “Bonding is essential for our species, and it is what makes us happiest” (p13). “The fundamental yet rarely asked question is: Why did natural selection design our brains so that we’re in tune with our fellow human beings, feeling distress and their distress and pleasure at their pleasure?” (p43). Finally, de Waal reminds that higher vibrancy with the other starts with higher vibrancy with your self, “Advanced empathy is unthinkable without a sense of self” (p121). Adam Grant shows that success today is more aligned with giving than taking. Grant describes takers as self-focused people who, “believe that the world is a competitive, dog-eat-god place. They feel that to succeed, they need to be better than others…If you’re a taker, you help others strategically, when the benefits to you outweigh the personal costs” (pp4-5). Grant describes others-focused givers as people “preferring to give more than they get…If you’re a giver..you help whenever the benefits to others exceed the personal costs” (pp4-5). “Givers succeed in a way that creates a ripple effect, enhancing the success of people around them” (p10). 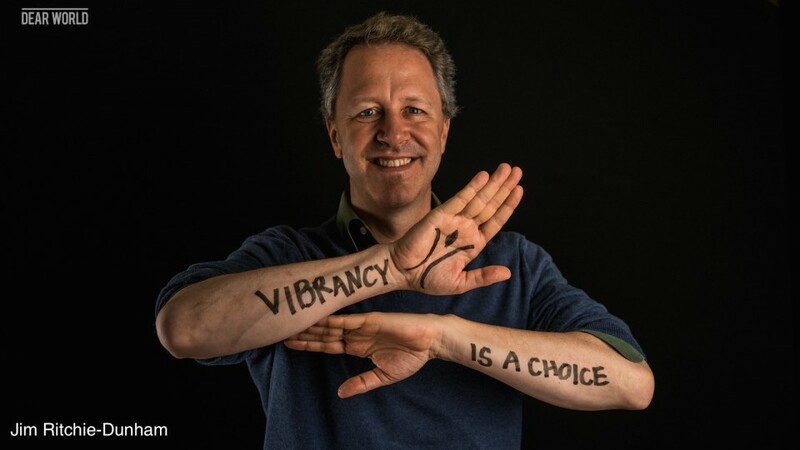 In the vibrancy we experience with takers and givers, Grant cites research published in the MIT Sloan Management Review on energy experienced in organizations, where “employees rated their interactions with one another on a scale from strongly de-energizing to strongly energizing. The researchers created an energy network map, which looked like a model of a galaxy. The takers were black holes. They sucked the energy from those around them. The givers were suns: they injected light around the organization” (p53). Givers realize their Homo lumens nature, bringing light-possibility to the development of potential, relationships, and capacities that lead to greater, more sustainable outcomes. Looking at the peak and average performance of givers and takers, Grant finds a third style, “matchers” who strive “to preserve an equal balance of giving and getting. Matchers operate on the principle of fairness: when they help others, they protect themselves by seeking reciprocity” (p5). Grant’s review of different professional disciplines, like doctors and engineers, “The worst performers and the best performers are givers; takers and matchers are more likely to land in the middle” (p7). Putting these ideas into practice, mostly for Grant’s matchers, Daniel Pink enters this question of the relationship to the other from another angle. “What percentage of your work involves convincing or persuading people to give up something they value for something you have? The average reply among all respondents: 41 percent…people are spending a decent amount of time trying to move others…Most of us are movers; some of us are super-movers” (p22). If our relationships with others are so critical today, how would Grant’s “matchers” pitch ideas to others and negotiate with them? Pink reframes the traditional sales tools of takers in the light of matchers.